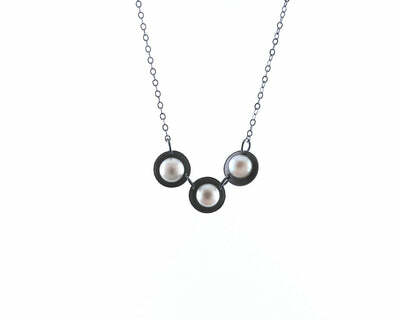 Pearl jewelry at its most lovely. 9 pearls evoke an artistic repose from on lookers. 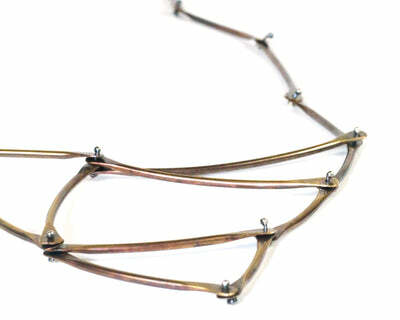 Contrasting in design and complimentary in adornment, your neck never looked so inviting. 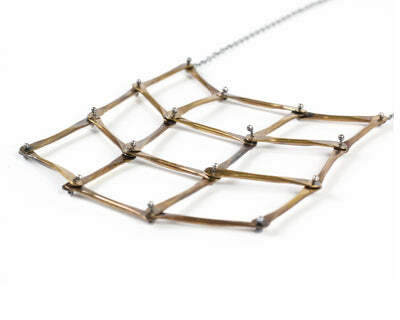 9 oxidized sterling silver cups frame the incandescent pearls solidifying a perfect sliver pearl necklace for any occasion. 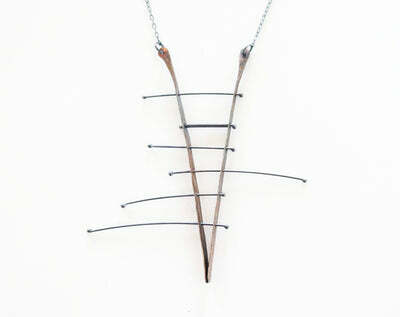 The sterling silver necklace hangs 16" long, but can be made to any length upon request.